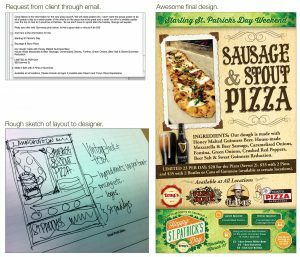 Designer/Client Communication Goals | LunaGraphica, Inc. Whether you have hired a graphic/web designer to create your new logo or website, build a powerful marketing campaign, or simply create your business cards, it is an investment. You are trusting someone with your money, time, and ultimately, your business… in return you hope to be wowed when your designer brings the idea you had in mind come to life. This is the exact outcome your designer is hoping for as well, and in order for this to happen good designer/client communication is vital. Just as there is nothing like that feeling of knowing you have brought your client’s visions to life, there is nothing quite as gut wrenching as knowing you have failed to make your client happy. The outcome of a design job is very much dependent upon the client/designer relationship, and everyone knows good communication makes a good relationship. But what happens when your designer doesn’t understand what you are asking for? Or when you aren’t sure how to explain what you want? Being able to navigate situations like these will ensure you end up with the design you want in the time-frame (and price point) you expect. Everything starts with an idea, but it can be difficult to move past that stage. Your designer will help you refine your idea, but it is helpful to ask yourself a few questions before you bring it to the table. 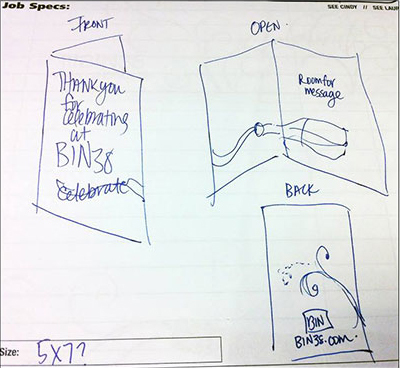 Ultimately how well prepared you are will be what sets the tone for designer/client communication during the project. What do you want your design to accomplish? Are you having a logo designed to represent your business? Are you having your existing website redesigned? Need business cards? What do you want the design to do for you? That may sound like a silly question on the surface, but answering it can help you get more specific with your design needs. What do you want your design to say? Is there a mood you are attempting to set? Do you want to come across as orderly and professional, or relaxed and casual? Again, your designer will probably ask you all of these questions but knowing the answers to them ahead of time will allow you to answer them with confidence rather than feeling on the spot, and this will ensure excellent designer/client communication throughout your working relationship. Sometimes you just don’t begin knowing exactly what you want, and although this is fairly common, it can be a handicap to designer/client communication. Starting by telling your designer what you don’t want can get things in motion. Exploring the things you dislike will help you talk about the things you do like. If you tell your designer you hate websites that make you scroll a lot to get to the information you are looking for, then the designer knows you want shorter pages or a way to easily navigate back to the top of a page. Do you dislike specific colors, styles, or fonts? Well which ones do you like? This doesn’t necessarily need to be a conversation you have with your designer; asking yourself these questions in your planning process will help you better explain what you need when you do speak to your new designer. The more preferences you have nailed down in the beginning of the design process, the better designer/client communication will be, which means less time will be spent on frustrating conversations, excessive editing, and costly last minute design changes. All designers love references! Do a simple sketch, even if it’s a quick doodle done on a coffee shop napkin it will be helpful. If you go back and read “A Peek Into Our Design Process”, an article posted to our blog back in February, you will see the rough sketches our designers do for reference. Even if you never show a designer your sketch, it will help you to better explain what you want. Don’t be afraid of sending your designer images and links to designs you like. Of course designers aren’t going to/can’t directly copy the references you give them, but they can go a long way toward helping your designer get a feel for what you want. It may be something as simple as a color palette you enjoy, or a font you are in love with, but it will help you communicate with the person you have hired to do the job more effectively. Your designer is going to have a lot of questions for you, and you shouldn’t be afraid to ask questions of your designer. It is important that you understand what is happening in every step of the design process. There is literally no such thing as a stupid question in this situation. Your level of comfort in asking questions of your designer will have a huge impact on designer/client communication. 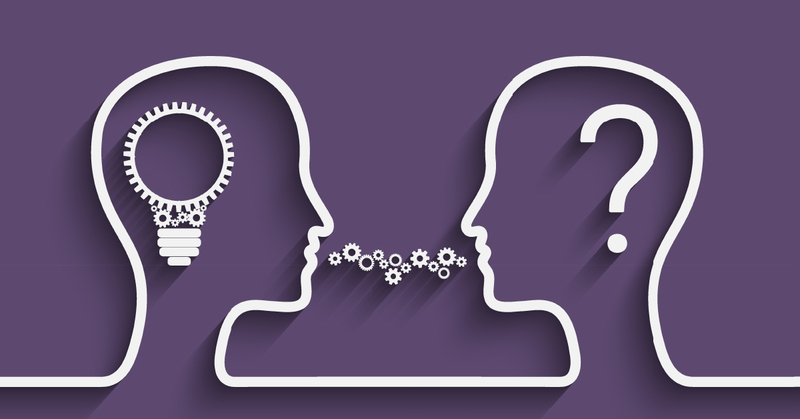 More often than not what seem to be simple questions lead to much larger conversations that end up being important to the project. Speaking up when you want to know something as soon as the questions come up will help ensure you walk away with something you are happy with. The most important thing you can do as a client is to provide honest feedback. You aren’t going to hurt your designer’s feelings; as our President and Creative Director Cindy always says, “Don’t worry, we have thick skin.” Your designer isn’t going to get mad if you dislike what they are doing. In fact, finding out your client didn’t like the way the project was going all along and having to start over mid-project is far more frustrating (and costly) than doing several rounds of minor edits. Don’t forget positive feedback is just as helpful as negative, and good communication between designer and client involves both. Being as specific as possible about what you like and dislike will mean fewer rounds of editing and a more successful project. Your designer wants to get your design done for you on budget and on time. More importantly, your designer wants you to be happy with the work they have done for you. Are you ready to get started on your next project? Let’s start communicating. Contact us now!